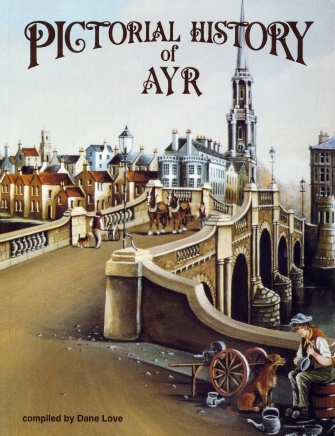 Pictorial History of Ayr is available from the author's Online Bookshop. A comprehensive pictorial history of Ayr over the centuries. This book is copiously illustrated with many old images of people and places associated with Ayr's long and distinguished history. At the start of the book is an overview of the history of the Royal Burgh, and there follows a large selection of images depicting many streets, buildings, places and people associated with the town. Each has a detailed caption which gives a concise history of the place featured.